You've Decided to Move your Office - Now what? 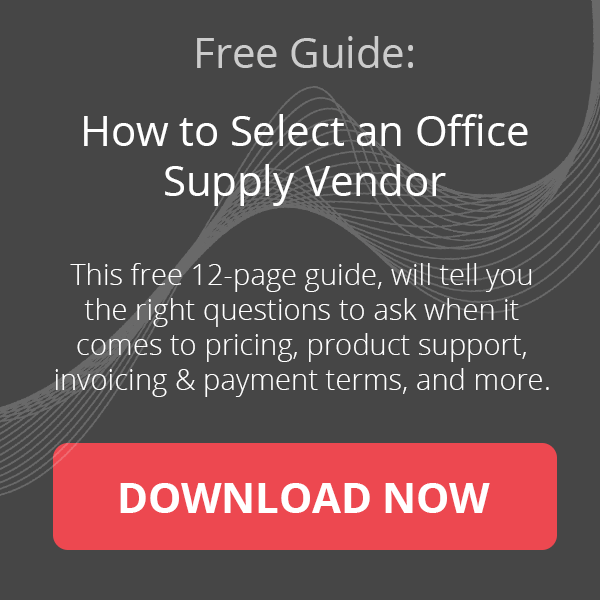 You Want to Move your Office – Now What? Growth in your business can result in the need for a bigger or more effective work space, resulting in an office move. Moving your office can seem like a daunting task. However, if you take the time to consider each part of the move individually and thoroughly, there is no need to worry. Here are 7 things to think about when making your office move. The first thing you want to do is create a plan to make your move as smooth as possible. This can include creating a schedule, distributing responsibilities among your team, and putting together helpful to-do lists or checklists. When developing your plan, make sure you consider all the stakeholders involved in the move, including your management team, employees, and external help you may be hiring for the move. This plan will help you see any gaps and how you should address them. An office move is a great chance to upgrade your office furniture. There are a number of office design trends to consider including the minimalist office or the creative office. Use your office furniture as part of your company culture. Another reason to update your furniture is to ensure that it is ergonomic. Ergonomic office furniture has a number of benefits including increasing comfort and productivity. As a general guide, check out our post, 15 Must-Have Furniture Pieces for New Offices. Lighting in the office is important to boost employee well-being and productivity. You can also consider environmentally-friendly options such as opting for halogen or florescent lights instead of incandescent ones. Types of lights you’ll want to think about about are ceiling lights, spot lights, floor and desk lamps. Remember to consider your natural light or windows locations to plan your lighting accurately. It’s essential that your technology doesn’t get interrupted with your move. Ensure that your IT team is on-board and prepared to make any adjustments with the move. Your move might also be a good opportunity to update some of your technology such as phones, printers or computers. You can recycle your old electronics by returning it to the original vendor. Moving your office can also mean re-stocking your office supplies. You may even consider buying your office supplies in bulk to save money. 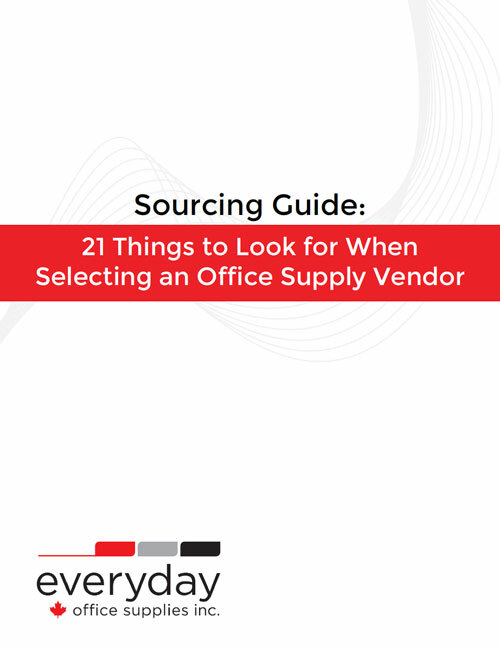 Don’t forget to take inventory of what office supplies you already have to make the right purchases. 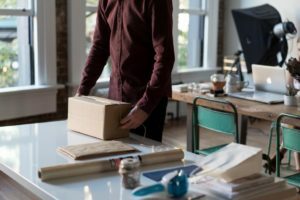 If you’ve decided to pack your office supplies and furniture in-house, you’ll need to have all your packing supplies ready. The supplies you’ll need may include boxes, bubble wrap, tape and labels. Remember to categorize and label all your boxes to make unpacking easier. Moving can be a messy business. Ensure that your team and hired help has all the cleaning supplies needed to get the job done. This will come in handy when you leave your old office and when you fix up your new one. Moving to a new office is not a bad problem to have. At the end of the day, your new office will give your team a space to work harder and better. If you need advice or suggestions on how to get started with making your office move contact us at info@shopeverday.ca or 416-656-6829.